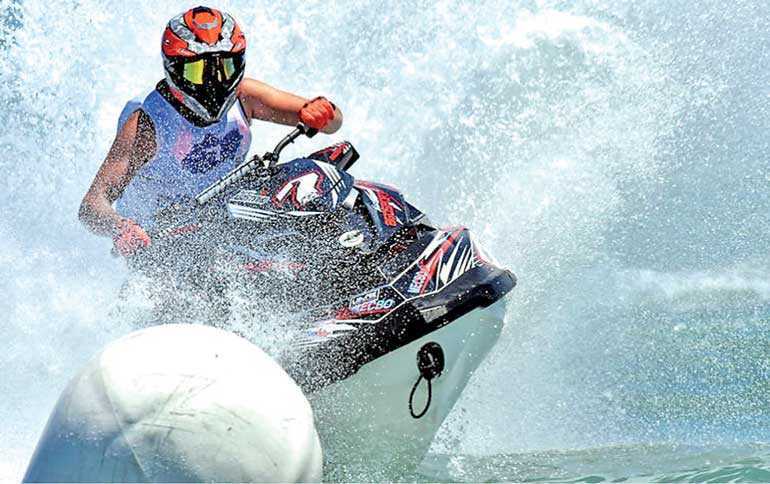 The Lanka Powerboat Association has announced that it has successfully won the rights to host the opening round of the H20 racing International Aquabike Championship in March 2019. For the first time ever – Sri Lanka will enter a team into this prestigious event. The Lanka Powerboat Association will run an International Training Course in June to prepare trainers, racers and officials for the development of Aquabike Racing in Sri Lanka and to prepare for this fantastic event. The UIM-ABP Aquabike World Championship is the most acclaimed and prestigious international series promoting personal watercraft in a competitive racing environment, and one of the fastest, most spectacular, demanding and entertaining sports on water. Each round of the Aquabike World Championship is four days of breathtaking action, entertainment and spectacular night shows. It is an event that combines speed, skill, artistry and sheer raw power producing adrenalin-fuelled non-stop action, edge-of the-seat racing and improbable feats of artistry and acrobatics. Follow this year’s calendar at www.aquabike.net., with races in Europe and China, finishing the Championship in UAE and then heading for the opening round Colombo on 22-24 March 2019. All riders must complete the UIM Training course, in order to race. The course consists of both theoretical and practical modules and will be taught by a qualified International UIM Training Commissioner and Instructor. The course takes will take a minimum of four days to complete, depending on the riders skill level. Once successfully completed the UIM commissioner will then sign off the pupil - Ready to Race – and they will be issued with an international race licence and they will be UIM and LPA Ambassadors to promote and train jet ski in Sri Lanka. The training course takes place at AMAGI Aria Hotel in Negombo and runs from 16 June. There will be an international race for the newly trained riders on 23 June followed by a family ‘Introduction to racing’ day on 24th. This is an exciting opportunity happening for the first time in Sri Lanka. For further information please email sarah@lankapowerboat.com.